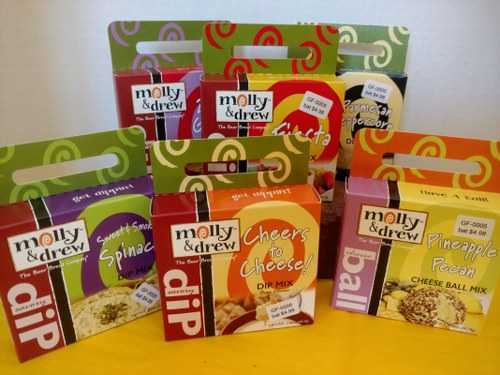 Savory dip mixes by the company that gives you the beer bread - Molly & Drew. Easy, go-to appetizer. Throw a couple in a basket for a thoughtful hostess or house warming gift. Flavors include Sweet & Smokey Spinach, Fiesta, Zesty Garlic, Cheers to Cheese and more. There's also a Pineapple Pecan cheese ball mix. Try them all! Service Area: Lodi, Sun Prairie, Madison, Middleton, Verona, Reedsburg, De Forest, Mc Farland, Columbus, Poynette, Cross Plains and surrounding communities.